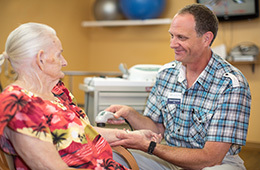 Our experienced therapy team is committed to providing outstanding results and excellent quality of care. 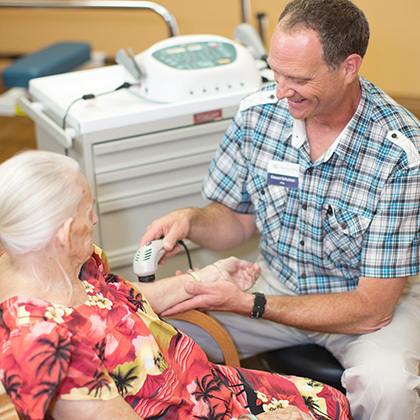 Our residents are empowered through individualized programs to reach goals of increased independence and ability. 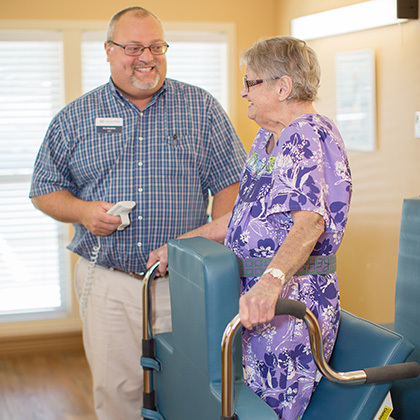 We encourage our resident families to participate in therapy sessions, caregiver education, and training so they may better assist their loved ones when they return to their homes.